New Secret Code for Moshi Mag Neon Sign! 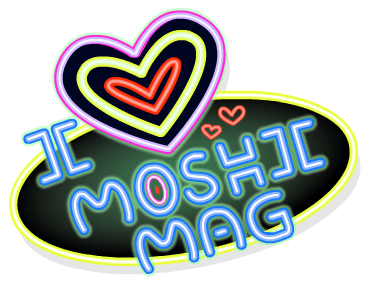 Hi Guys, today we have a code for a Moshi Mag Neon Sign! We hope you enjoy this code! That’s all for today, guys! Stay tuned to MME, as we’ll be bringing you more secret codes and Moshi News when it’s released! Winners are 93glowingbirdy, Allthesevens, littleone70, and 100th entrant chazzy24590! Congratulations! You have all been sent your code! *CONTEST NOW OVER* MME 3.0 & 2m Hits Contest! Winners are 93glowingbirdy, Allthesevens and littleone70! Congratulations! I am gonna get straight to it and just say.. CONTEST! Enter below into the RAFFLE! The prize is magazine codes! We will be giving away 4 one time use magazien codes to 4 different people! 3 people whos name comes out of the raffle, and 1 to our 100th entrant! No staff of MME may enter. Any entries submitted after deadline (1st June 2013 00:00) shall not be accepted. One entry per IP. I HAVE HAD MANY ENTRIES FROM THE SAME IP! If your name isn’t on this list within 24 hours of submitting your entry resubmit your entry! Budeyboy5000 is amazing, please add him and make sure to visit him MoshiMe.com/Budeyboy5000, as he has been extremely helpful towards the MME team, especially in the graphics department! Final Part of Scavengarr Hunt Out Now! Just a little reminder that the final part of the Scavengarrr hunt is out now! The prize you get in this mission is Bentley. What do you think of Bentley? Did you enjoy the Scavengarrr Hunt? Leave your comments below!